We provided a comprehensive plan to revitalize the historic Casa de Balboa building in Balboa Park through thoughtful design updates and interactive features. The revitalization of Casa de Balboa building, located in the heart of San Diego’s expansive Balboa Park, included a comprehensive set of design solutions to a multitude of problems. 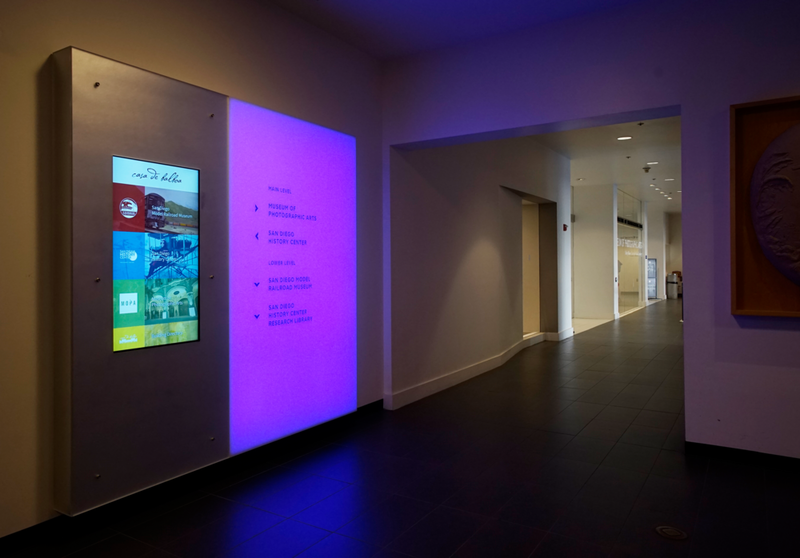 With multiple museums, a library, cafe and various other entities all under one roof and with competing needs and uses for the space, we reimagined the concourse in the shared public area of the building, developing a cohesive way finding system with standardized signage. In addition, we completed a full overhaul of the interior which optimized traffic flows, improved seating areas and elevated the guest experience. 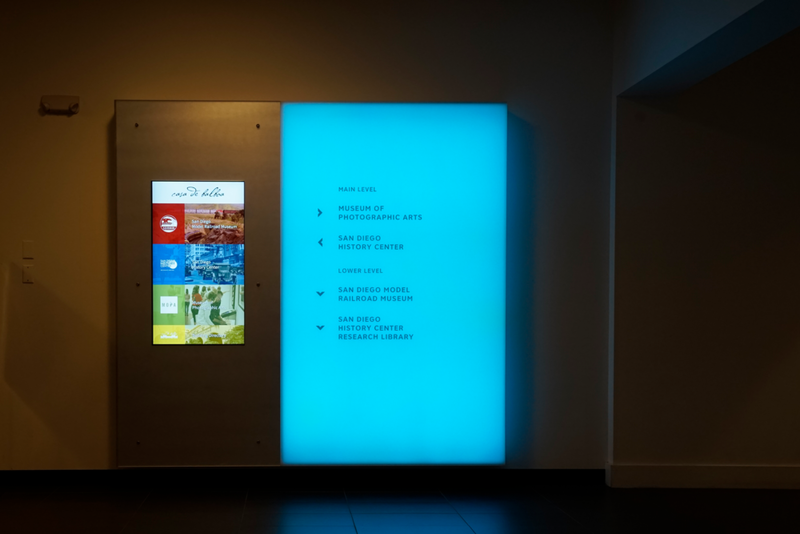 We also designed a custom interactive projection screen with an accompanying interactive app design to engage visitors in all that Casa de Balboa has to offer, enhancing the experience for residents and tourists alike, while adding significant value to this historic landmark.